RUSH: I want to go back to me on this program back on February 9th talking about the, at the time, unreleased Democrat memo written by Shifty Adam Schiff in response to the Devin Nunes memo. RUSH ARCHIVE: Nah, just release the whole thing. Don’t redact it. Just release the whole thing. No, that stupid Schiff memo, Pencil Neck, just release the whole thing. The Drive-Bys are obsessed with it. I hope Trump just releases the whole thing. Don’t redact anything, because all this is: Schiff trying to run a fast one. 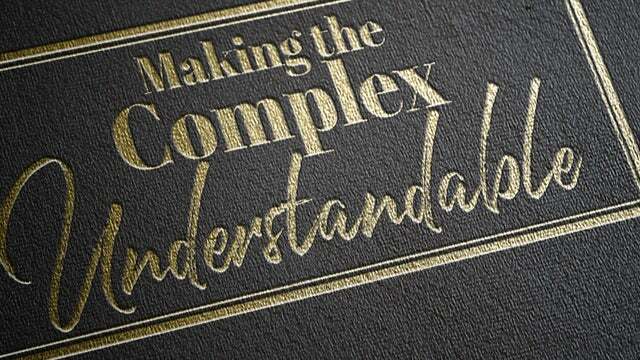 RUSH: Well, they did release it, but it was highly redacted. We’ll go through the nuts and bolts of it here in just a second. Yesterday on Fox & Friends weekend, Devin Nunes appeared. NUNES: The one thing that’s clear in this whole Russia fiasco is that the media’s dead. The media in this country, 90% of them are hard left, they rely on clicks to make a living. So when they attack people like me, it actually means that I’m over the target. They also have to do it because they’re in on this. They were showing up the dossier, you know, back during the 2016 election. RUSH: That is a really salient point. That is a really crucial point. This whole idea of Trump colluding with Russia, the reason the media cannot report this accurately, they can’t report it objectively is that they were in on the whole scam. They were in on the effort to convince people that Trump colluded with Russia and cheated Hillary Clinton out of her due opportunity to be president. They joined the effort. What he means is, they knew the memo was there, they saw the — well, not the memo. The dossier. And they didn’t question it, either. They couldn’t wait to leak it. They couldn’t wait to get it out in the public domain so they can do news stories about it. They were in on it. That’s what he means by there’s no media, the media is dead. And it’s exactly true. There isn’t any objective media that you can turn to anymore. You cannot. Every place you go is afflicted, infected. And there’s nothing objective anymore. There’s not a single place you can go. And these people high up in the Drive-Bys, New York Times columnists, Washington Post columnists, a number of leading anchors and figures on the three networks and some of the cable networks were all-in on this hoax. Some people don’t like when you characterize this as a hoax, but I think it’s a hoax because everybody involved knows that it’s not true. Now, I think some of them have been pushing it for so long they’ve become poisoned with their own vitriol and they do believe it now. I mean, it’s the easiest way these people can absolve themselves of any responsibility for Hillary losing. Remember, all these people were in the tank for Hillary Clinton. We’re talking about the Drive-Bys. Every damn one of them was in the tank for Hillary Clinton, and they all thought she was gonna win, and they were doing everything they could to destroy Trump. And he still won. Can you imagine how they feel personally? Forget how they feel politically. What a huge rejection of them and their efforts. I mean, they sit there in their palaces thinking that they are all powerful and all influential. And everything they had they put into defeating Trump, and he still wins. And so to avoid any sort of personal responsibility for this, you gotta find a bogeyman, and it happens to be Russia and Putin and this whole collusion business. So they’re in on it. They have been. And that’s why you’re never gonna get a mainstream story, mainstream news story that’s in any way factually objective about this. It’s why every news story to this day leaves a paragraph open to eventually be filled in with that news, that evidence that Trump colluded. They still get up every day thinking that day is gonna be the day where that news is gonna magically appear. They think it’s there. They’re just hoping that they’re the ones that uncover it. And that is their existence. Now, on to the Schiff memo. This is a memo that was written in response to Devin Nunes’ memo. The Nunes memo, to me, was devastating. It laid out by way of evidence the fact that the FBI and the intelligence community never tried to verify Christopher Steele’s dossier. They took it as an article of faith, because they trusted Steele that his sources were authentic. They never got hold of Steele’s sources. They never once tried to corroborate this. Or, if they tried, they couldn’t but didn’t dig very deep. They ran with it anyway. And this dossier, which is a work of fiction, was actually commissioned by Hillary Clinton as an opposition research hit piece, ends up being used to secure warrants to spy on the Trump campaign and the Trump transition. That’s what the Nunes memo confirmed. 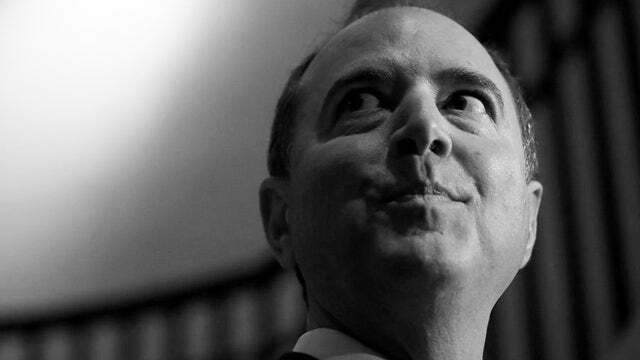 So here comes little Adam “Pencil Neck” Schiff trying to refute it, trying his little best to do damage control. Andy McCarthy has a very comprehensive piece. We will link to it at RushLimbaugh.com if you want. It’s a piece at National Review. It is lengthy. It prints, depending on how you do it, between nine and 16 pages. So I can’t utilize it in a verbatim sense here. But of all the things to read to understand the Democrat response memo here written by Adam Schiff is the piece by McCarthy. MCCARTHY: What was specifically alleged about Page was the meetings with the two top operatives, which they only get from the Steele dossier. Without that allegation, you may have a lot of information about why Russia’s bad and the bad things that Russia is trying to do, but you don’t have anything that shows that Carter Page is an “agent of a foreign power” as that term is defined under FISA law. RUSH: Now, one thing to keep in mind going forward here: The Steele dossier and the FISA warrant was all oriented around Carter Page, who was an ancillary Trump campaign employee for a while. But because he knew people in Russia and had some meetings, they immediately asserted that he must have been colluding on behalf of Trump with his Russian contacts. But if you look at the Nunes memo, the Nunes memo pretty much ignores Page and says what the FBI was really interested in was this George Papadopoulos guy. This is such a crock. George Papadopoulos… I don’t want to be mean here. I’m not trying to be mean. But he’s a hanger-on. He’s like a… I don’t want to insult anybody here. I’m trying to describe… Trump didn’t know who he was. He’s an eager beaver, wanted Trump to win, and he’s got a very ancillary job somewhere, and he happened to be consuming adult beverages one night. He had too many of ’em, and he starts talking to an ambassador from Australia and starts bragging about the fact that they got dirt on Hillary. Now, this guy, Papadopoulos, is not even in the Steele dossier. If he is, it is so incidental as to not really be there. Adam Schiff says that the Steele dossier is no longer relevant here because the FBI was focused on Papadopoulos, not Page, which is BS! McCarthy pointed out that the FISA warrant was obtained on Carter Page, not Papadopoulos. But little Pencil Neck here is trying to say the FISA warrant on Page is not… The FBI was really looking into Papadopoulos. That’s what got the FBI all interested. They’re trying to deflect people here from the real truth about it. It’s just… It’s a really, really thin effort, and he ends up confirming much of what’s in the Nunes memo in an inadvertent way. RUSH: One of the points here that the Schiff memo is trying to make… The Schiff memo attempts to blur the idea that Hillary Clinton paid for the dossier. One of the contentions in the Nunes memo was that the FISA court was not told who paid for the dossier, that they were not told. The judge of the FISA court was not told that Hillary Clinton bought this, commissioned this, that it was used as political opposition research, that it was not an intel document. The Nunes memo asserts that. So Pencil Neck has to come along and somehow say, “Well, no, that’s not true. But the way he writes the paragraph, it’s pathetic. He ends up affirming the Nunes contention that the court was not told. 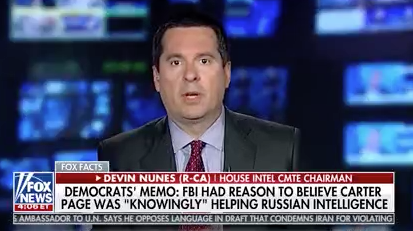 It’s really a pathetic effort to rewrite what really happened and to obfuscate the issue, and Andy McCarthy caught it and pointed it out, and that’s why he says that the Pencil Neck memo actually bolsters the Nunes memo in this and many other ways. MCCARTHY: That’s what transparency would have been. I think where they talk about a U.S. person there, I think they’re talking about Glenn Simpson of Fusion. And that just underscores, if you feel like you have to disclose Fusion, how do you not feel like you have to disclose the people behind Fusion who are actually sponsoring this thing? Obviously if you know for a certainty that there’s a very specific political motivation behind this, namely, that it’s the opposition candidate looking for basically monitoring somebody tied to the other campaign, why not just come out and say that? If they could poll a hundred federal judges and ask them, “If a warrant was presented to you and that fact was withheld, what would you think about that,” what do you imagine those judges would say? RUSH: Okay. Let’s fast forward to sound bite 6 because Schiff actually addresses — the point in that sound bite was they didn’t tell the FISA court that the dossier was not intel. They didn’t tell the FISA court that it was political opposition research. They didn’t tell the FISA court that Hillary Clinton paid for it. And Andy’s question, you tell a hundred judges that you want a warrant to spy on the other presidential candidate based on a document written by the other presidential candidate, do you think you’d be granted the warrant? You would not be. So they didn’t tell ’em. But Kilmeade said, why not tell ’em? Just tell ’em you believe everything in it regardless. I mean, if the FBI is presenting the dossier as something they believe, then why not tell the judge that it came from Hillary Clinton? But never mind that, Judge. We believe what’s in this. And of course the point is they didn’t dare tell the judge where it came from, and they didn’t dare tell the judge that none of it had been corroborated. They were trying to pass it off as intel. 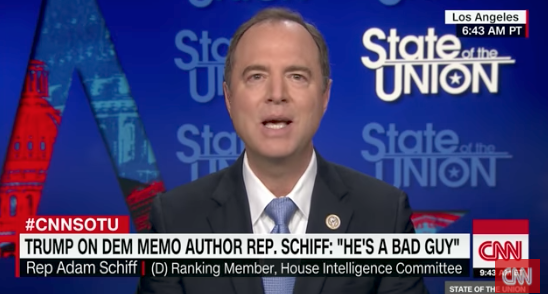 SCHIFF: It’s ironic that the Republicans would attack the FBI for following their procedures, which require that they minimize the names of U.S. persons and U.S. entities that are not the subject of a warrant. Even Hillary Clinton and Donald Trump are referred to as candidate 1 and candidate 2. They’re supposed to mask the identities of people. Christopher Steele did not know who was paying, who the client was who was paying the freight. And so what the FBI properly reported is what they suspected, what Christopher Steele may have suspected, and they masked it appropriately. RUSH: That is so absurd. I hope you realize how absurd this is. The desire not to unmask is why they didn’t tell the FISA judge where this had coming from? Hillary’s name wasn’t mentioned. Instead they cited candidate 1 and candidate 2. How many candidates were there? There were two! And somehow Schiff wants us to believe that they were properly shielding the name of Hillary by not naming her, instead calling her candidate 2, as though the judge wouldn’t be smart enough to realize that it was Hillary Clinton and they were just following policy, Jake. I mean, not to unmask citizens and so forth. And Steele didn’t know who paid him to do — what difference does that make? Steele knew he was being paid to do it. And it came from Glenn Simpson and Fusion GPS from the law firm cutout, Perkins Coie or however you pronounce their name. Steele’s not an idiot. Everybody knew what was going on. Steele was from the Never Trumper school from the beginning. Everybody knew what’s going on here. The point is that Schiff is trying to write a memo that discredits the Nunes memo. And what he’s ended up doing is affirming it, which is why so many of us, “Just release the damn thing.” There’s no way Schiff can get away writing this thing in such a way as to destroy the truth, which is what the Nunes memo is.